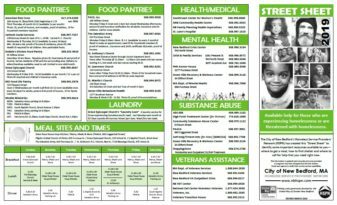 The City of New Bedford’s Department of Planning, Housing & Community Development has released the new STREETSHEET.2019 and has made it available through this website. Available in English, Spanish and Portuguese. Check it out through the RESOURCES page at STREETSHEETS.